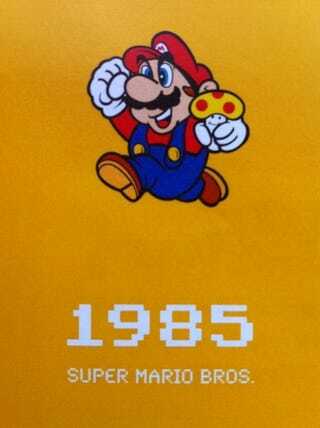 This fall marks the 25th anniversary of Super Mario Bros. After appearing in 1981's Donkey Kong and 1983's Mario Bros., the overall-wearing plumber got "Super" in 1985. Here is a look back at Super Mario's promotional art through the past quarter century. Note: Super Mario Bros. 2 was not originally released in the USA, but was later as Super Mario Bros.: The Lost Levels. Instead, Nintendo released a version of "Doki Doki Panic" as Super Mario Bros. 2 in the West. That game was later released in Japan as Super Mario USA.